Huntsville, Alabama, has left an indelible mark on the United States’ spaceflight heritage, earning the nickname “The Rocket City” in the process. The city has played a significant role in nearly every facet of America’s national space program, and it has welcomed the blossoming commercial spaceflight sector with open arms. Now the northern Alabama municipality seeks to be a landing location for Sierra Nevada Corporation’s (SNC) Dream Chaser spacecraft. SNC was selected as part of NASA’s Commercial Resupply Services 2 (CRS-2) contract in 2016 to provide delivery of cargo both to and from the International Space Station (ISS). The Dream Chaser spacecraft, resembling a smaller Space Shuttle, would take off atop a rocket but land on a normal runway. 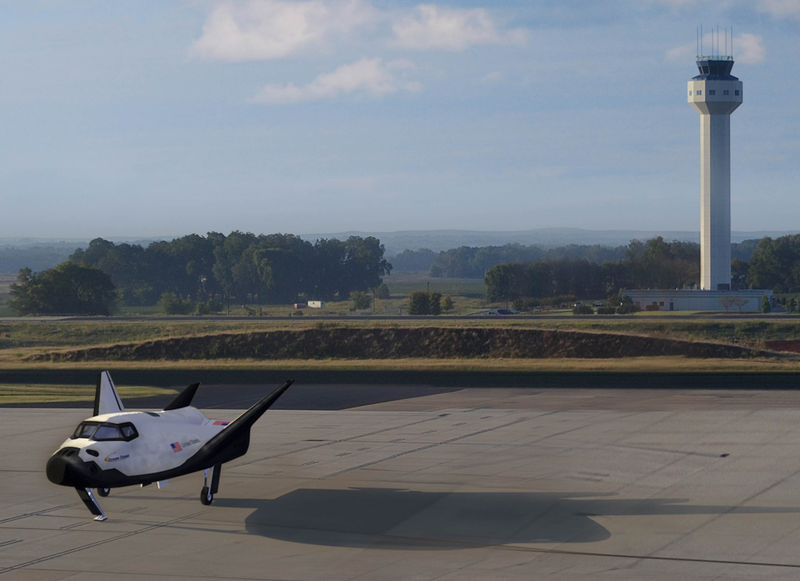 Seeking to support this down mass capability, the Huntsville International Airport (HSV) opened a Phase I study that investigated the feasibility of landing Dream Chaser at one of the airport’s two commercial runways. Indeed, the airport’s western runway is the second-largest in the southeastern United States, with its 12,600-foot (3,840-meter) length exceeded only by the longest runway at the Miami International Airport. “The preliminary study proved the feasibility of landing so now we are pleased to announce that we have initiated the permitting process with the FAA,” stated Huntsville International Airport’s executive director, Rick Tucker, in a shared release issued by SNC and the airport. The Phase II contract, expected to take at least 24 months to complete, will see the airport work with the Federal Aviation Administration (FAA) to get the proper licensing to allow the mini-shuttle to land at the facility and is viewed as a natural extension of the region’s focus on the industry. “This represents a shared vision of Huntsville as a leader in the commercial space economy as the first community to make a commitment to this vehicle and its role in space commerce,” concluded Tucker. But what makes Huntsville ideally suited to support not only Dream Chaser but also the spaceflight industry as a whole? One need not go very far to see how much spaceflight has embedded itself in the city’s personality. From the rocket garden at the U.S. Space and Rocket Center – with a full-scale Saturn V replica standing tall above the surrounding area – to the numerous companies dotting the metropolitan area dedicated to the industry, Huntsville is a city flush with the skills needed to support the needs of the industry. Central to the need, however, is NASA’s Marshall Space Flight Center (MSFC). Marshall is one of NASA’s major centers and has been the centerpiece behind much of the nation’s crewed spaceflight programs. 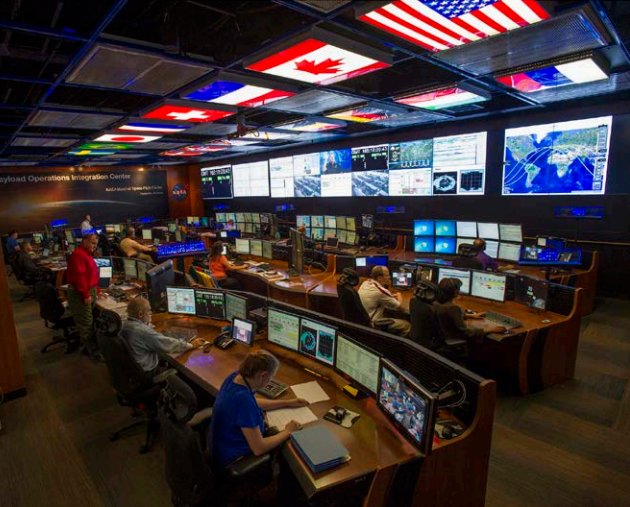 Crucially for Dream Chaser, though, MSFC is home to the Payload Operations and Integration Center (POIC). The POIC began round-the-clock operations in 2001 and is responsible for managing all science payloads aboard the ISS. It is this close relationship with science payloads and the POIC that makes returning to HSV attractive. With Dream Chaser holding the capability to return a payload to the ground more quickly and with less stress than spacecraft with a more traditional ocean splashdown recovery, landing on a runway offers rapid retrieval options to science investigators and commercial entities alike. While Huntsville prepares itself to welcome Dream Chaser home from a mission, SNC continues to put the engineering article through tests to validate the performance of the spacecraft. As part of a structured regime, the test article for the vehicle recently completed a tow test at NASA’s Armstrong Flight Research Center (AFRC) in California. During the tow test on August 29, 2017, the vehicle was pulled behind a truck at 60 mph (96.6 km/h) and then released. This test, as well as similar ones at slower speeds, validated the vehicle’s landing system and are necessary for proving the spacecraft’s handling post-touchdown. The tow test was a precursor to a captive carry test of the vehicle the following day. For the captive carry test, the test vehicle was carried aloft by helicopter in order to gain data and calibrate instruments that cannot be completed on the ground. During the test, Dream Chaser was suspended below a twin-rotor helicopter and was lead through a series of maneuvers. Information gathered from this captive flight will be integrated into a future captive mission, ultimately leading to a free flight. Initial data from the tethered flight were encouraging. “We are very pleased with results from the Captive Carry test, and everything we have seen points to a successful test with useful data for the next round of testing,” noted SNC’s director of flight operations for the Dream Chaser program, Lee “Bru” Archambault, in a release issued by the company. The second captive flight is expected to occur in about a month, with the free flight by the close of the year. Looking ahead, SNC has signed a contract with United Launch Alliance (ULA) for the first two Dream Chaser flights, tentatively scheduled for 2020 and 2021. Although NASA hasn’t officially ordered the flights, SNC is guaranteed six flights from 2019 through 2024 under the CRS-2 award. Until then, SNC continues to move forward with testing. AT 15,000 feet, Kennedy Space Center’s runway is also longer.